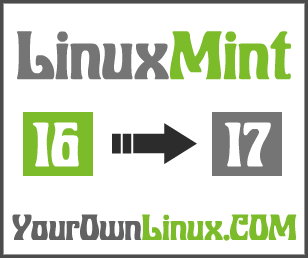 How To : Upgrade to Linux Mint 17 (Qiana) from Linux Mint 16 (Petra) ~ Your Own Linux..! As we all know, Latest stable version of Linux Mint OS which is Linux Mint 17 having a codename Qiana has been released and is available for download with two desktop environments viz. Cinnamon and Mate. Just like Ubuntu 14.04 Trusty Tahr, Linux Mint 17 (Qiana) will be officially supported till 2019. This tutorial will help you in upgrading to Linux Mint 17 Qiana from Linux Mint 16 Petra. Driver Manager: Now, one can install the driver packages with no need of internet connection. Login Screen: Improved Multi-Monitor Support, with improved HiDPI support and recovery command. Languages: Easy to select languages and add more of them. Welcome Screen: Now uses very less resources and launches pretty faster. GUI: Cinnamon 2.2 with much consistent looks. Kernel: Linux Kernel 3.13 with Ubuntu 14.04 package base. Added attractive backgrounds and photographs. Menu: "Uninstall" with a right-click. For more details, please find the release notes here. 1. Make sure that the version of Linux Mint you are using is Linux Mint 16 Petra. You can check this by executing any of the following commands in Terminal. 2. Once you confirm the Linux Mint version you are using, you can proceed to the upgrade procedure. But, before doing so, you are advised to take backup of certain files related to repository sources, so that, if something goes wrong, we can revert back the changes easily. These files are /etc/apt/resources.list, /etc/apt/sources.list.d/official-package-repositories.list and /etc/apt/sources.list.d/official-source-repositories.list. 3. Now, in all of the above mentioned files along with /etc/apt/sources.list.d/getdeb.list file, replace every occurrence of "saucy" with "trusty" and "petra" with "qiana". For our convenience, we make use of sed command as follows. 4. Now, it's time to upgrade to Linux Mint 17 Qiana. During the upgrade process, you will be asked certain questions related to Config files and Services restart, you are advised to type "Y". After the completion of upgrade process, reboot your system by executing sudo reboot command. The check the OS version installed in your system by issuing any of the commands mentioned in Step 1. If you're happy with the upgrade, you could remove it. If you still think you might revert, you can move it. Hi. Thanks for this easy upgrade guide. However, I intend to continue with Petra for now. How do I only upgrade the update manager within Petra (16)? That third sources.list.d command keeps giving me trouble, saying no such file. I can't figure it out. You don't always have that file, which is fine, just ignore that, and continue with the process. If you get a window asking you something about configuration files, choose "Install package manager blablabla"
When copy pasting the commands in a textfile (to remove the dollar signs) and then from textfile to terminal you might get the error 'Do you want to continue? [Y/n] y Abort.' when you type 'y' or 'Y' or enter etc. That's because when copy/pasting from textfile there is hidden 'break' code. To solve this just copy/past 1 code at a time.